"Nature," according to Condorcet, "has linked together in an unbreakable chain truth, happiness and virtue." His Sketch for an Historical Picture of the Progress of the Human Mind written while in hiding at Mme Vernet's from the very revolution in which he put his faith, is an attempt to show that, little by little, simply through the movement of time, Reason must come to reign over the human mind, to displace superstition and prejudice and ensure the arrival of a society in which everyone will be rational and happy. That Condorcet entertained not a moment's doubt about this progress even while the revolution was destroying its own acolytes with ferocious brutality, is testimony to the grip that optimistic ideas had upon his mind. It is characteristic too of all optimistic thought, for once allow that progress is not a necessity, and the optimistic view of history begins to crumble. If betterment comes about through choice, if its necessity is an illusion, then regression is a permanent possibility. For Condorcet, this was unthinkable. Progress was a law of nature, as the natural sciences made apparent. "The sole foundation for the belief in the natural sciences is the idea that the general laws directing the phenomena of the universe, known or unknown, are necessary and constant. Why should this principle be any less true for the development of the intellectual and moral faculties of man than for the operations of nature?" The response to Condorcet's question is that if the laws directing the intellectual and moral development of humankind were necessary and constant, then such development would be impossible. Intellectual and moral development are possible only because they are neither necessary nor constant. They are the result of choice and consequently do not proceed uniformly. As for an individual, so for a culture; intellectual and moral development take place only insofar as they are pursued strenuously. Nor do they take place without cost. Intellectual development requires study and when you are studying you can't be doing other things. Moral development means putting assumptions in question, refusing obedience, working out a moral position in the face of the opposition of your culture, and this can entail very great cost indeed. As far as cultures are concerned, in order to develop intellectually and morally they must make these aims paramount, yet to do so always puts those in power at risk. It is safer for them to foster the moral and intellectual mediocrity of obedience and quiescence. Yet even more fundamental is the fact that nature is governed by laws without motive. Though it may be true that a modicum of motive can be discerned in the behaviour of other animals, only in human beings does motive become characteristic and crucial. A seagull may drop snails onto rocks in order to crack their shells, but seagulls do not argue about the values which should govern their society. They have neither values nor society because they live locked into instinct. At best they can bend it a little. For humankind, however, nature ends where society begins. It is not the laws of nature which govern our social life, but the choices we make. As individuals and as societies we can choose moral advance or regression, intellectual development or stagnation. About these, there is nothing either necessary or constant. Faith in science, therefore, does not help us. The sole foundation for belief in the natural sciences fails when we try to use science to understand our own values and choices. Condorcet is quite right: there would be no basis for a belief in the natural sciences were it not the case that the phenomena with which they deal are subject to laws both necessary and constant. It is precisely this basis which makes the very science which is so powerful when dealing with natural phenomena so impotent when it comes to culture, for once choice and action become the leading characteristics of the phenomena with which we deal, science cannot help us. Condorcet is such an optimist because he does not see the limits of science and he is blind to them because he makes no significant distinction between nature and culture. He believes it possible to study society in the same way that we might study geological deposits, but if this were so, study itself would be beyond us, for study is a choice. Condorcet's faith in the power of science to explain everything leads him into the well-known paradox that if his theory is right it can't be right. When Condorcet speaks of "the natural progress of the human mind" he assimilates mind to natural phenomena. But if mind were no different from physical phenomena ruled by laws, it wouldn't exist. Mind is the ability to think, to intend, to choose. Whatever the limits within which choice must take place, in order for choice to be possible, there must be a point at which law is transcended or choice would be ruled out. Choice is outside the laws of nature as are intention and action and as it is these which characterize mind, to speak of the progress of mind as natural is a contradiction in terms. Further, when Condorcet speaks of mind, does he mean something more than intellect? Is mind made up of nothing but intellect? If mind is much more than this, if it is consciousness of ourselves and others in something other than an intellectual manner, if it is the way we relate to ourselves and to the world beyond us, if it is the way we respond to our own emotions and the choices we make about which emotions to develop and which to repress, then it is highly individualised. This does not imply, of course, a form of radical solipsism. As Jules Henry has written: "Culture invades and infests the mind as an obsession." Mind is a product of culture. Yet culture is also a product of mind. Culture is not nature. It may help to make us what we are, but we make it what it is by our choices and the actions we engage in on the basis of those choices. There is always this two-way traffic between ourselves and our culture: they are mutually creative. Our lives are a garment we weave as we wear it. Culture creates mind but mind and the actions which flow from it create culture. Which comes first? Neither. They are simultaneous. We do not weave the garment and then put it on. Nor can we take it off to examine and repair it. Now for Condorcet mind is a natural phenomenon. It happens to us like being caught in a shower of rain or catching influenza. We do not create mind but are created by it and its progress is as inevitable as the rhythm of night and day. Yet in spite of this, he believes too that the progress of the mind and therefore of society has been held back by the superstition of religion. The natural progress of the mind seems prone to impediment. Yet how can it therefore be thought of as natural? There is nothing on earth that can impede nature other than human decision and action, and this is possible because decision and action, in order to be what they are, must logically fall outside the laws of nature. If religious ideas have held back "natural" progress then progress itself must not be an idea. It must not be something that we have created by choice and action but something to which we are submitted. In which cases it is without value, for value attaches only to whatever is the result of choice. There is no right or wrong in nature. Now, Condorcet believes that religion is wrong because it impedes progress. Science, on the other hand, is right because it reveals the laws of nature, of progress. Science on the one hand and religion on the other are, therefore obviously choices before us and because neither of them are "natural" because they do not merely happen but come into existence through choice and action, they are subject to value, they can be judged right or wrong. Science is right, according to Condorcet, because it reveals the laws of progress, religion wrong because it stands in the way. So science is right because it permits the forward march of that which is without value. If progress is not a form of choice and action, it is neither good nor bad. Condorcet himself seems to perceive this, for while he calls progress "natural" at the same time he implies that it is a human accomplishment. Unfortunately, it cannot be both. If it is the former, it is without value, if the latter it is not natural. The science in which Condorcet puts his faith, because it is a human creation, the result of choice, intention and action, is subject to value. Its value can be debated. For Condorcet, however, its value is absolute. It is the scientific society in which he believes. To talk of a scientific society is just about feasible for society is instrumental, it is all those relations into which people enter in order to achieve ulterior ends. A society could, therefore, be organized about science and indeed, this is what mass production as a whole is about. Is it feasible, however, to speak of a scientific community (in the sense of a community organized scientifically rather than the group of people who come together for scientific purposes)? Could we speak of scientific friendship? Once we come to those relations into which people enter for their own sake, relations which do not serve ulterior ends but which are ends in themselves, the term "scientific" becomes redundant. A scientific society would, therefore, have to be utterly impersonal. Yet what would be the point of such a society? What would be rational, and Condorcet believes in science as the supreme expression of rationalism, about a society organized specifically to dehumanize? Anything less rational is barely imaginable. Yet a scientific society, precisely because it would have no place for the personal, the personal resisting absolutely scientific organization, would have no purpose other than dehumanization. In order to live in such a society we would have to cease to be personal. Condorcet dispenses with God only to bow down before the God of science. He dismisses the superstition of religion only to embrace the superstition of a scientific society. He wants it to be true that human fallibility cannot stand in the way of progress and cannot therefore grasp the truth that without human fallibility progress would be impossible. It is only because we can be wrong that it is possible for us to get things right. It is only because, at any moment, we can regress that progress is an option. When Condorcet attacks religion, he does so on the grounds of its interference with progress and this is consonant with his view that if humankind is left alone, left to develop "naturally" continuous progress will result. It is curious, however, to object that humanity is interfering with humanity. It is equally bizarre that a humanity granted the possibility of unlimited "natural" progress should go to the extreme of creating obstacles to it. The whole trouble lies in the failure to recognize the distinction between nature and culture, between processes governed by law and the human sphere of freedom characterized by choice, intention and action. "....... the power of modifying these laws, of making them contribute to ..... well-being. This power may be feeble and insignificant in each individual, but if it is observed in the species and exercised over a great span of many generations, ever growing with the progress of the human mind, it can ultimately balance that of nature." Clearly humankind is capable of modifying the laws of nature. We can take hold of physical processes and through our understanding of them turn them to our own ends. But what are the laws of our own actions? What is the law that makes one person a socialist and another a conservative? What is the law that makes one person a theist and another an atheist? What is the law that makes one person choose love and another hatred, that makes one choose generosity and another greed? Condorcet believes in moral mathematics, in the reduction of moral questions to the certainties, or at least probabilities, of calculus. In this scientific Utopia, debate would become redundant as the social scientists, through accumulation of data and prediction of trends, assumed control. Moral progress is a concomitant of scientific progress. There is no difference between discovering DNA and discovering how to be moral. if society is unjust, if people behave badly towards one another, it is only because the correct social mechanisms have not yet been put in place. Morality is a question of social technology. Time and again we come back to this inability of Condorcet to accept that there is no moral force in the universe but the human conscience and that, therefore, if society is unjust, if people behave badly towards one another, it is because they have made the wrong choices. At every moment of our lives we are faced with moral choices. Good and evil are perpetual possibilities. In this sense, Condorcet is wrong to believe in moral progress. There is no possibility of progress to a condition in which evil is no longer possible for if this were so, good would be impossible along with it. If it is sensible to speak of moral progress it can mean only that we have become more acutely conscious of our capacity for evil, of our tendency to self-complacency, of the likelihood of making a special case for ourselves and that, in consequence, we are all the more determined to struggle against it. If it were the case that there exists an unbreakable bond between science and morality, the moral problems of humankind would be close to resolution. What we have witnessed, however, is that along with an increasing faith in the power of science to deliver us from evil, has come evil on an unconscionable scale. Condorcet was convinced of the world significance of the French Revolution, that its truth would spread across the globe and free humankind from superstition and tyranny. Part of the truth of the Revolution was the Terror and the September Massacres. These truths, as much as any of the others the Revolution brought to light, have permeated the modern world. Condorcet learned from Turgot that progress, after a certain point of human development, is inevitable. 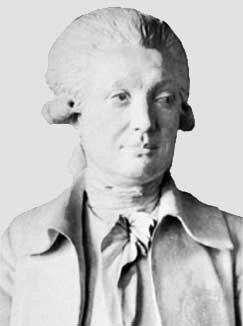 In politics he clung to Turgot's belief in freedom, but as a philosopher of progress he began the speculation on the relationship between progress and liberty which led Saint-Simon and Comte to sacrifice the latter to the former. The belief that progress is an irresistible law together with faith in the scientific Utopia make liberty at best a peripheral question. The thread that leads from Condorcet through Saint-Simon, Comte, Hegel and Marx to Stalin and Pol Pot is plain to see. The custodians of the doctrines of inevitable progress have need of neither liberty nor conscience. To believe in both is to dismiss the false view of human status that dominates the modern world. Human freedom lies nowhere but in our ability to choose between one course of action and another. The illusion that freedom resides in the recognition of necessity is a product of scientism, of the failure to understand that if history is governed by law, freedom is impossible and that, therefore, the idea of an inevitable progress to freedom is inherently contradictory. If freedom is possible it is not inevitable. To wish for a world in which freedom alone is possible is to fail to understand that if we could not choose between freedom and its opposite, freedom could never be realized. This means, of course, that there is no Utopia. There can never be a society from which the possibility of tyranny, injustice, unfreedom or even barbarism can be expunged. Only because this is true is it possible for us to choose a society in which these evils are consistently resisted. Condorcet was so convinced of the inevitability of progress and of science as its means he was able to neglect the question of freedom. Indeed, the two ideas complement one another. Once human conscience, in all its fragile fallibility, is rejected in favour of the certainty of historical law, freedom is obliterated. For optimists and progressivists freedom is a perpetual bane, for it too often stands in the way of what they perceive as opportunities for advancement. A moral objection to anything is intrinsically unscientific and, therefore, anti-progressive. Condorcet's naivety lay in his attenuation of this conflict between freedom and progress, his belief that without being duped or coerced people would rally to the scientific organization of society because they would perceive it as rational. The belief that science can solve moral problems is, however, one of the most irrational ideas that ever entered the human mind. Science can provide women with abortions but it cannot resolve for them the moral questions which surround termination. Science can produce Semtex but it cannot tell us whether or not it is wrong to use it for terrorism. Choice, intention and action distinguish human beings from all other phenomena in the universe. Insofar as other species display these qualities, they do so only marginally, whilst for us they are characteristic. Whatever the limits within which our choices must be made, it is the fact that we can choose which makes us free. It is because human life is not determined by law that it is permeated by value. Beyond the arena of human action the universe is valueless. Nature is neither right nor wrong, good nor bad, moral nor immoral. Condorcet believed that progress was a fact and that, consequently, history could be a science. On the contrary, history is the story of the choices we have made, none of which were inevitable, and the future will be the same. There is no natural law which can save us from ourselves. The only hope we have is the flickering, spluttering candle of conscience.